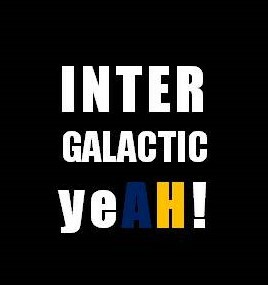 Avex Beach Paradise Cafe – Intergalactic Yeah! We found this cafe by chance. We were visiting the filming location of Bambino in Momochi Seaside Park, Fukuoka when suddenly the rain starts pouring. The wind blow so strong that we had to look up for a place we could wait until the rain stopped. 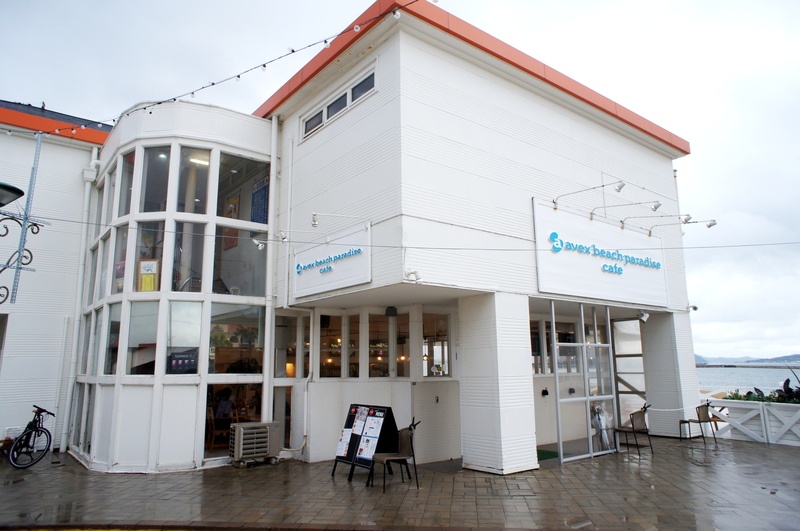 Avex Beach Paradise Cafe is the first cafe we spot on at that time. At first, we didn’t realize that the “avex” is that “avex” we know (despite the logo). 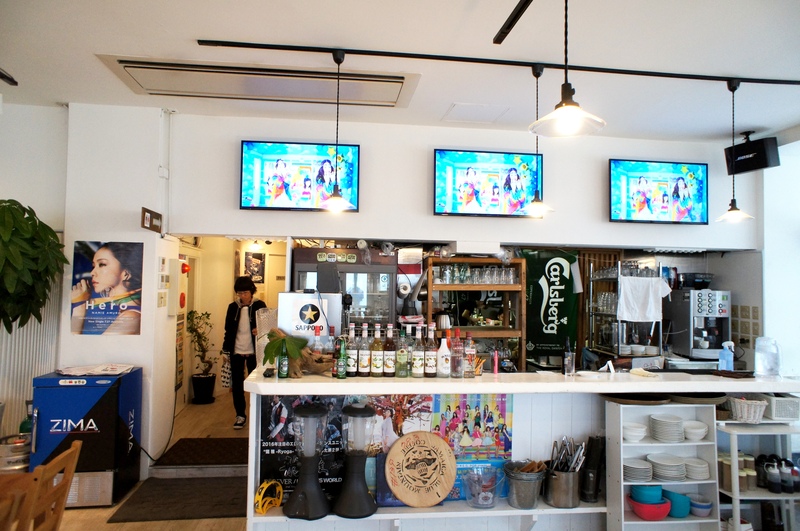 When we entered the cafe, we saw E-girls poster and their song (the MV to be exact) was played. 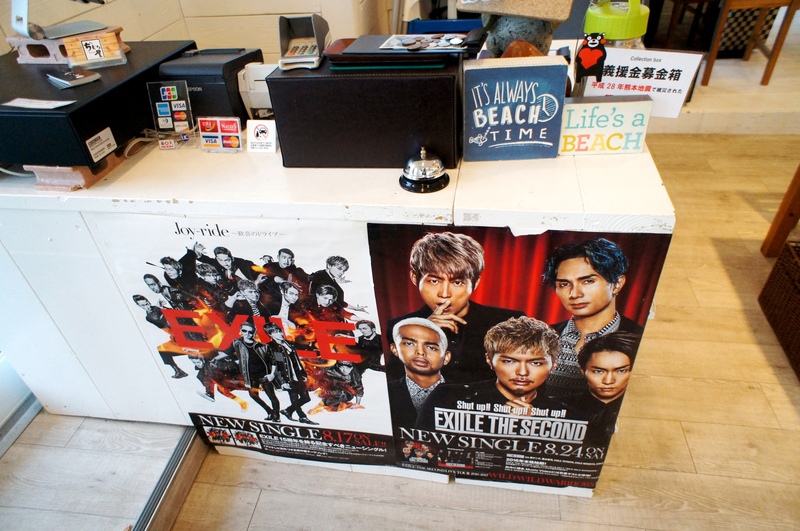 Since I’m an LDH fans, I start to feel excited unexpectedly finding this cafe. We already had lunch, so we just ordered a warm drink and some cakes. 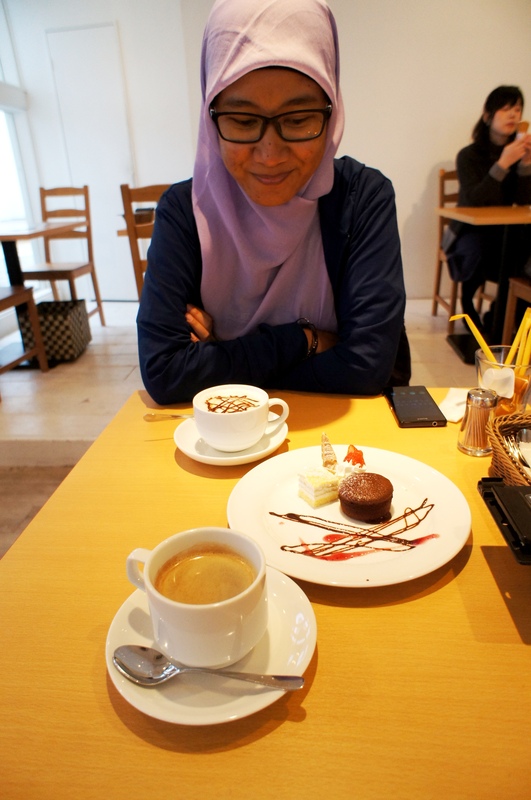 They have coffee set menu (warm drink + cake) for 700 yen, which I think is not pricey for a themed cafe. 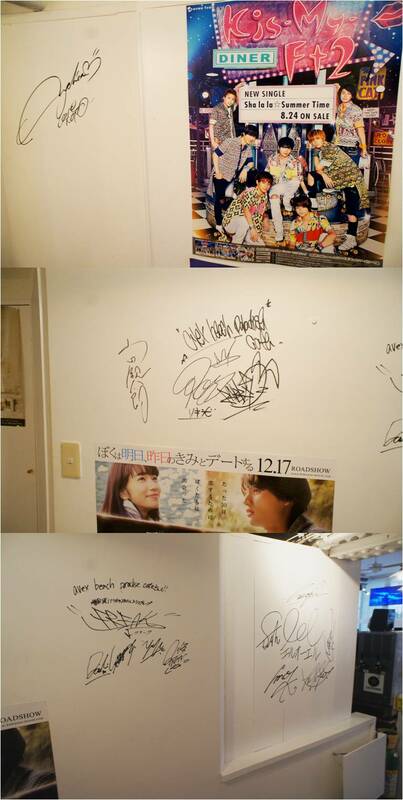 While waiting for our order to be served, I took some photos of a signed wall despite have no idea who signed it. Based on the information from their website, they also often hold a live music performance and event from Avex artists there. You might check their website for the schedule. 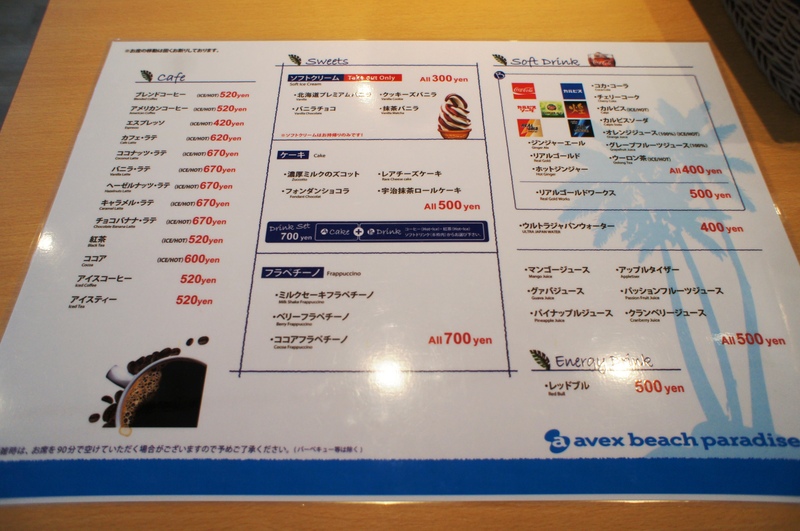 It seems like there are two Avex Beach Paradise Cafe. The other one is located at Fukae Beach Resort, not that far from the one we visited.